[caption id="attachment_31795" align="alignleft" width="150"] Amanda Simard, Writing Intern[/caption] This blog was written by writing intern Amanda Simard. When someone asks me my favourite place in the world, I don’t have to think twice before answering Tidnish Bay, Nova Scotia. There are few things in life I enjoy more than a quiet day spent sitting by the ocean shore with a good book or a pair of binoculars.When asked why I pick Tidnish – the answer comes easily as well. The community The people I’ve met over summers spent in the area have always been exceptionally kind. They are always eager to share their latest stories and invite newcomers into the community as readily as family. There is a great community spirit and I’ve enjoyed many evenings filled with pleasant conversation, laughter and even music. With weekly events like the Pic n’ Grin, there is always something to do and someone to share a laugh with. The beach It may well sound like a cliché to talk about loving the beach, but I’m not talking about just any beach here! I love a beach with tides and that is great for swimming, kayaking and breathtaking walks along the red sand flats. 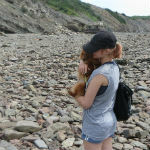 Let’s not forget, the Tidnish coast is lined with red rock cliffs which are truly a sight to see. It's also a great spot for bird watching and it isn’t uncommon to catch sight of a seal or a dolphin swimming in the distance. [caption id="attachment_33281" align="alignright" width="300"] Photo by Amanda Simard[/caption] The artisanal shops From pewter crafts to rug hooking and even wine, there isn’t a shortage of artisanal, craft and gift shops in the area. I love spending the afternoon in nearby Pugwash, hitting up the various craft shops, or heading down to Amherst to visit Diane Fitzpatrick’s rug hooking studio. For wine, there’s Winegarden Estates just across the New Brunswick border, or Jost Vineyard a ways down in Malagash. The trails For those days when I’m looking to change things up from walking along the sandy shore, there are plenty of trails nearby. Some are through forest while other are through marshlands or along the coast. The sights are amazing and there is plenty of wildlife to keep an eye out for. The sunset Wouldn’t you know it? Another cliche! What can I say? A gorgeous sunset across an ocean horizon – sign me up anytime! Add in a bonfire and some marshmallows, it’s hard to think of a more perfect summer evening. [caption id="attachment_29148" align="alignleft" width="150"] Asma Hassan, Guest Blogger[/caption] This blog is written by Asma Hassan. The Suffield National Wildlife Area (NWA) was created in 2003 as a sanctuary for endangered prairie wildlife. Located in Alberta, the area is approximately 458 km2 and consists of several types of habitats including grasslands and sand dunes. The site has been the topic of debate in the recent past due to proposals to drill for oil and gas in the NWA. Nature Canada proposes that this NWA should be expanded to protect 410 km2 of adjacent community pastures that also include important grasslands habitat. What is so special about the Suffield NWA? The Suffield NWA is a unique protected area in terms of its management, the diverse habitats it provides and the wildlife that resides there. Some of the species living in the Suffield NWA are either endangered or threatened in the prairies generally, but are present at Suffield on account of its various habitats, some of which are rare. 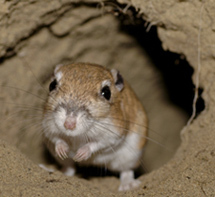 There are currently 20 at-risk wildlife species such as Ord's Kangaroo Rat, Western Harvest Mouse and Burrowing Owl living in this particular NWA. In addition to being an important habitat for at-risk wildlife, the Suffield NWA is also home to at-risk plant species. Who manages this NWA? This is where it gets a bit unusual. The management of the Suffield NWA has been delegated to the Department of National Defence by Environment and Climate Change Canada. To further explain this, we will need to go back in time a little bit. The land has been under environmental protection since the Canadian Forces Base Suffield was established in 1971. Apart from authorized research, the public are not permitted to visit this NWA. This measure has been taken to ensure that this fragile ecosystem is not disturbed. What are all the debates about? Development may be authorized in the Suffield NWA under the Canada Wildlife Act despite its status as a protected area. In 2009, EnCana proposed the construction of 1,275 natural gas wells in the area. The project was turned down by then-Environment Minister Jim Prentice in accordance with the recommendations of a Joint Review Panel due to the adverse effects the project would have had on wildlife, The Panel’s recommendations still allow for proposals of a similar nature to be brought forward in future. Why does this matter? 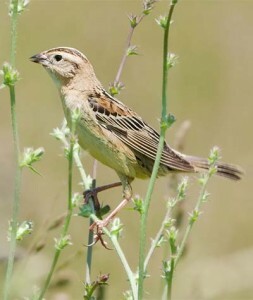 Due to its size, the Suffield NWA is able to support numerous at-risk prairie species and potentially aid in their recovery. The expansion of this area is imperative because it would further benefit these species on a scale that is both impressive and rare. Conversely, any action to build potentially harmful infrastructures could have a significant negative impact on Canada’s increasingly threatened grasslands ecosystems. To learn more about the areas that are proposed to be protected, click here. Professional Writing Intern[/caption] This blog was written by Writing Intern Blair Scott. In 1980, Environment Canada declared Quebec’s Baie de L’Île-Verte a National Wildlife Area (NWA). The designated area comprises roughly 322-406 hectares of marsh wetlands (les zones humides des marais) that serve as a critical habitat for many endangered species and unique, life-supporting flora. 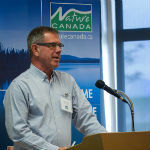 While Environment Canada leads the management of this NWA, several other organizations have endowed the region with their own terms of ecological significance. 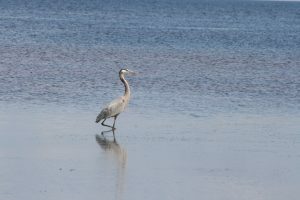 In 1987, the Ramsar Convention designated Baie de L’Île-Verte a “Wetland of International Significance,” and in 1986, L’Île-Verte Migratory Bird Sanctuary (MBS) was officially recognized; consequently, the region has been listed as an Important Bird Area (IBA). Baie de L’Île-Verte is located on “the south shore of the Upper Estuary of the St. Lawrence River 30km northeast of Rivière-du-Loup” (Environment Canada, 2015). It is home to southern Quebec’s largest sprawl of Spartina marshes, which provides crucial habitat for the American Black Duck. This critical link of dependence catalyzed the need for protective action and special wetland status. 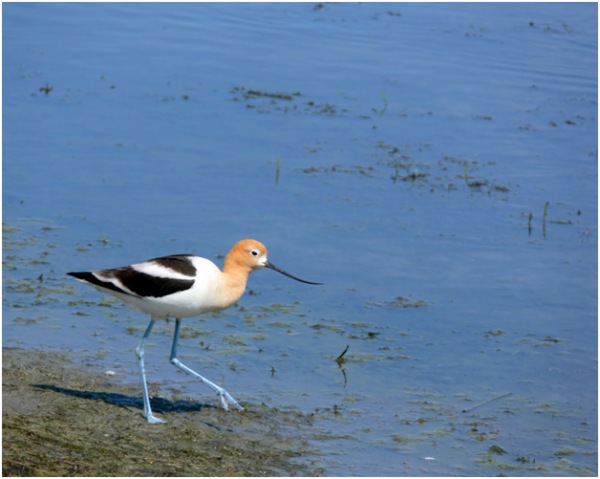 The importance of this area is not exclusive to any one species, however; over 130 bird species take refuge in its hybrid terrestrial-aquatic habitat, with approximately 35,000 birds migrating through its territory every spring, and 10,000 passing through in the fall. Over thirteen species listed under Canada’s Species at Risk Act are found here, including Peregrine Falcon, Short-eared Owl and Bobolink. [caption id="attachment_24471" align="alignright" width="253"] Photo of a female Bobolink by Kelly Colgan Azar[/caption] The stringent protection and monitoring of Baie de L’Île-Verte has ensured that public access to this location will not compromise conservational priorities. But the hard work of environmental stewardship is seldom complete, and human development seems to encroach upon every ostensibly-pristine paradise. Unlike its NWA-protected neighbour, Marais de Gros-Cacouna (Cacouna Marsh) has not been granted the conservation exemptions afforded by such status. This is unfortunate as this region of the St. Lawrence is invaluable to Canada’s threatened Beluga whale population – providing the only known breeding grounds for this beautiful marine mammal. While hunting during the 19th and 20th centuries was the impetus driving the mass decline of this species, modern-day pollution – in the form of chemical pollution and oil spills, especially – poses a great threat if adequate protections are not put into place. 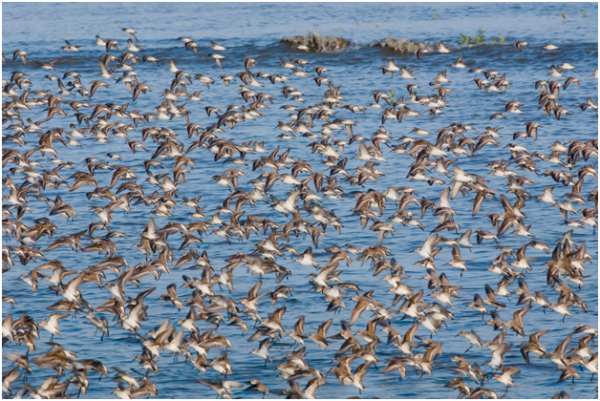 According to IBA statistics, the Cacouna Marsh is one of the three most vital shorebird sites on the south shore of the St. Lawrence River. It, too, has been designated as an Important Bird Area, but has yet to gain the conservation justice it deserves. Notable bird species observed here include the Black-bellied Plover, Nelson’s Sparrow, Wilson’s Phalarope and Marsh Wren. Key fish species include the American Eel, American Shad, Atlantic Herring, Atlantic Sturgeon, Capelin, Rainbow Smelt and Stickleback. In light of these facts, Nature Canada is proposing a westward expansion of the current NWA safeguarding Baie de L’Île-Verte, so that it includes the Cacouna Marsh Important Bird Area site. 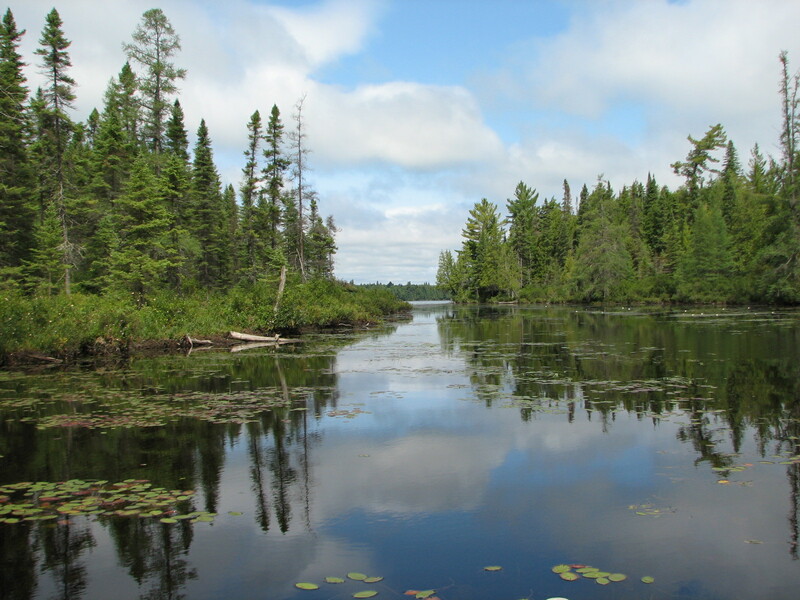 You can learn about more areas that are proposed to be protected here. What do wetlands have to do with water? These amazing ecosystems have adapted to low oxygen levels that would be unfit for a large number of species, and in spite of this, act as intermediary sinks that filter our water. 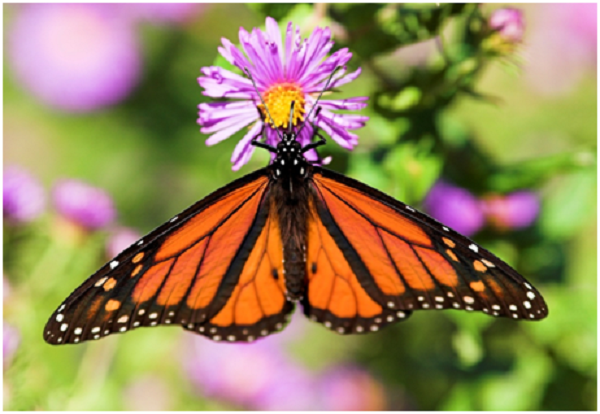 Wetlands are also factory powerhouses pumping out gazillions of insects! These, in turn, feed hundreds of thousands of animals who are all intricately connected in a complex web of trophic levels. In addition, wetlands are often connected to oceans, lakes and rivers, serving as canals for anadromous fish (i.e. fish who migrate between saltwater and freshwater locations: living most of their lives in saline waters, but preferring to spawn in freshwaters). Wetlands come in many shapes and sizes: marshes, bogs, fens, swamps, wet meadows and vernal pools – to name a few! For more information on the ecological services that wetlands provide, or the St. Lawrence wetlands network, click here! 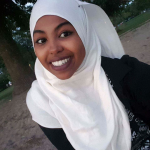 [caption id="attachment_29148" align="alignleft" width="150"] Asma Hassan, Guest Blogger[/caption] This blog was written by guest blogger Asma Hassan. Manawagonish Island is an Important Bird and Biodiversity Area or 'IBA' located just southeast of New Brunswick. The island has a rich history with regards to the species that inhabit it and the habitat it provides. The Nature Trust of New Brunswick has owned the island since 1992 when the original owners donated the land to the organization. So what is so interesting about the history of Manawagonish Island? It is a significant research site for scientists. Scientists have been tracking seabirds on the island since as far back as 1940. One particular area of their study is the effect of pesticides on the seabird population of the island. The Canadian Wildlife Service, scientists at the New Brunswick Museum and a dedicated bird enthusiast named William Astle have made significant contributions to this topic. 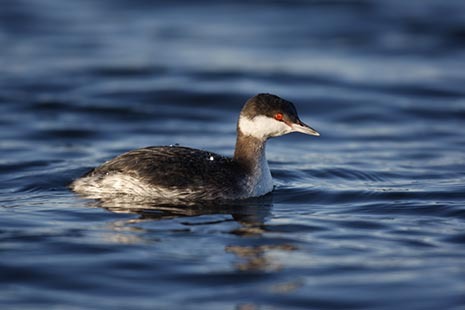 In addition to their research on pesticides, they have also studied the movement patterns of seabirds such as Herring Gulls, Great Black-backed Gulls and Double-crested Cormorants. This specific study was conducted in 1984 using a banding method to track the movement of the seabirds. The results of the study suggest that both the Great Black-backed Gulls and Double-crested Cormorants move northward into the Northumberland Strait after the breeding season. 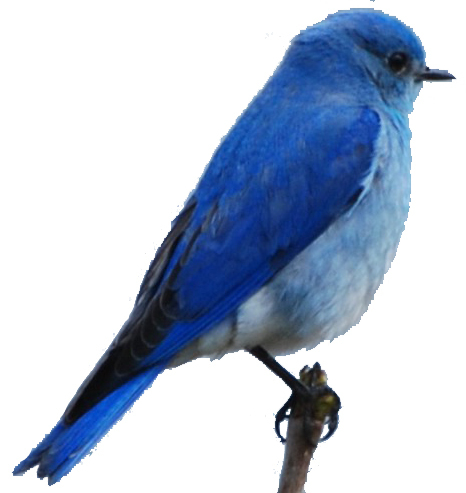 The research conducted by these researchers is available online for interested academics and fellow bird enthusiasts. The island has undergone significant ecological changes in the past few decades. Once upon a time, Manawagonish Island was covered in beautiful spruce and fir trees, but changes in vegetation led to a significant decline in these trees. In order to create a hospitable environment for the island’s avian inhabitants, the Nature Trust actually constructed poles to substitute as trees for the purpose of nesting in 2007. There have been substantial changes in the island’s sea bird population. In 1948, two pairs of Great Blue Herons were recorded on Manawagonish Island and by 1979 there were at least 44 active nests. 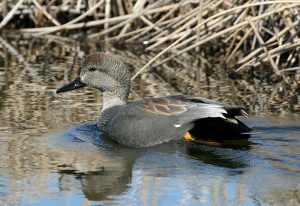 The number of Gadwall birds in Manawagonish Island has also been increasing since the early 1900s, though the population is still very small. The really interesting thing here is that the island was not even a known nesting place for Gadwall until the 1930s. Reports prepared by Astle and Donald McAlpine of the New Brunswick Museum also indicate a large increase in Great Black-backed Gulls since 1940. Manawagonish Island has a long history of providing a haven to the birds that have made the island their home. Though people are permitted to visit the island, they should take all necessary precautions so as not to disturb this sanctuary. 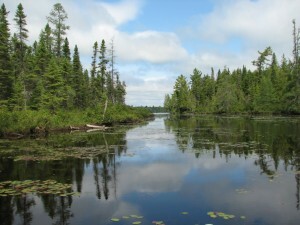 It is an area that Nature Canada wants to see designated as a National Wildlife Area to provide federal protection to all species and habitats on the island. You can also learn about other proposed protected areas here. and General Counsel[/caption] Canada urgently needs a strategy to meet its international commitments to protect 17% of our land and 10% of our oceans by 2020 says Nature Canada. Nature Canada’s Eleanor Fast and Alex MacDonald testified at the House of Commons Environment Committee on May 10 with recommendations on how Canada can achieve its so-called Aichi targets under the Convention for Biological Diversity. First, the federal government needs to stop transferring away protected areas it currently manages. Currently, 700,000 hectares of mainly native grasslands are being transferred to the Government of Saskatchewan, which has stated will be sold privately once transferred. These grasslands provide critical habitat for dozens of species at risk, conserve soil and water, and store carbon that would otherwise be released as greenhouse gas emissions. Second, federal efforts to ramp up establish new National Wildlife Areas and Migratory Bird Sanctuaries needs to be accelerated. Overlooked for new funding in the 2016 federal budget, the Canadian Wildlife Service needs significant new resources to take full advantage of these underutilized tools to established protected areas. A straightforward starting point for these efforts is to provide legal protection to Important Bird and Biodiversity Areas (IBAs) where appropriate. Third, there is a tremendous opportunity to work with indigenous governments and communities to establish new protected areas as part of the negotiations relating to the nation-to-nation process that the federal government is committed to. 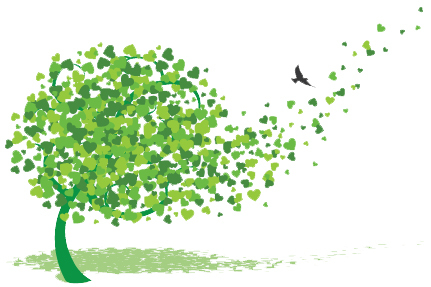 The link to Nature Canada’s brief to the Environment Committee can be found here. Canada boasts 54 of them in total and, when combined with its 92 Migratory Bird Sanctuaries (MBSs), they protect over 12 million hectares of significant habitat. If winter blahs have got you down, visiting your nearest protected area is a great way to fight back. Below are four more examples within two hours of urban centres across the country where you can bird, hike or showshoe to your heart’s content. Lac St-François is a natural widening of the St Lawrence River in southwestern Quebec, just two hours from Ottawa and 1.5 hours from Montréal. It features ecologically significant wetland and woodland habitats for over 287 species of animals and 547 species of plants. These include 14 species at risk, such as the Butternut, Yellow Rail and Northern Map Turtle. Lac St-François features a visitor centre and over 10 km of trails suitable for snowshoeing and cross-country skiing. The non-profit organization Les Amis de la Réserve Nationale de Faune du Lac Saint-François organizes outdoor activities for the public year-round. Inglewood is nestled in the heart of central Calgary within the Bow River Valley. Its riparian habitats are home to about 270 species of birds, 21 species of mammals and 347 species of plants. 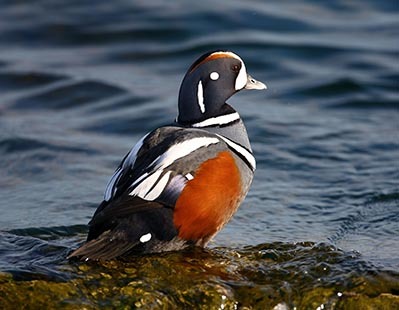 In winter, its open water hosts thousands of ducks - the striking Harlequin Duck sometimes among them - as well as Wilson’s Snipe and Bald Eagles. 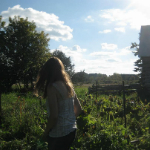 Inglewood’s trails and nature centre are popular with visitors year-round. Sadly, Inglewood was devastated by flooding in 2013. The sanctuary re-opened to the public in July 2015, but remediation efforts are ongoing. As you can see, these four protected wildlife areas offer a range of diverse habitats and species that are only a short trip away! If you would like to learn more about the work that Nature Canada is doing to connect people with these special places and other protected areas, be sure to look here. Replaced the Canadian Environmental Assessment Act with the weaker CEAA 2012, which scrapped over 3,000 environmental reviews, limits what gets considered in assessments and restricts the public’s right to participate. 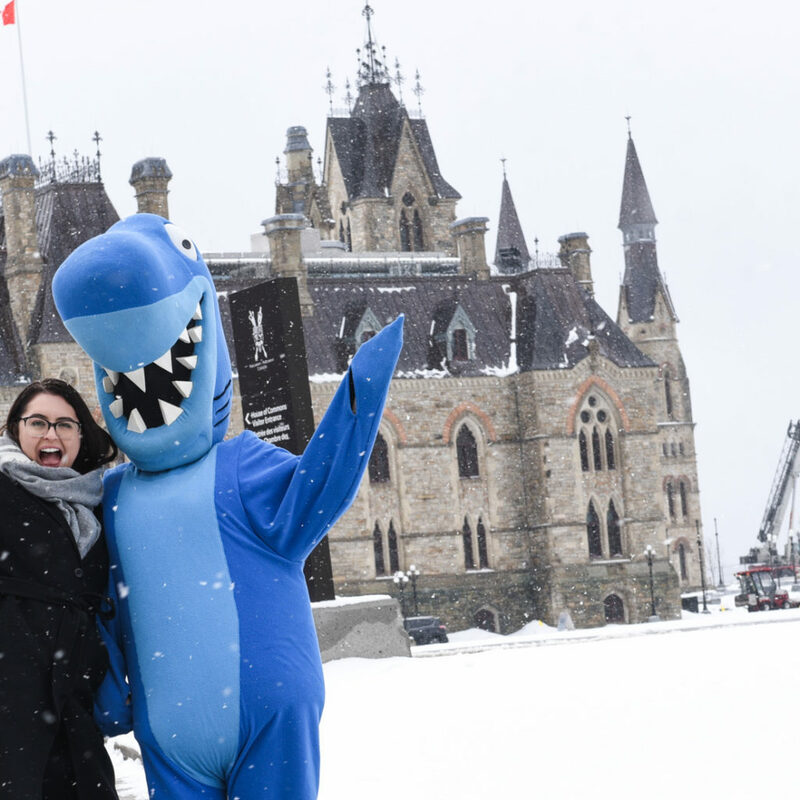 Gutted the Fisheries Act by weakening fish habitat protection, removing protection over some fish species and broadening government’s powers to allow harm to fish and fish habitat. Handed environmental oversight of major energy and pipeline projects to the National Energy Board. 4 Must-see National Wildlife Areas! 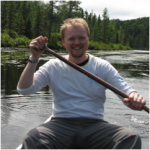 [caption id="attachment_16449" align="alignleft" width="150"] Alex MacDonald, Conservation Manager[/caption] Across Canada there are 54 legally protected parcels of land known as National Wildlife Areas. They range in size from under 1 hectare to over 263,000 hectares and span from coast, to coast, to coast. These sites belong to all Canadians and collectively, alongside our Migratory Bird Sanctuaries, make up 12.4 million hectares of lands and seas managed by Environment Canada. But with so many sites, have you visited one of these amazing areas? It’s true that some are inaccessible, but even the 81% of us that live in urban areas are not far from some of these sites. And they’re one of Canada’s best kept nature secrets! To give you a taste of what adventure awaits, here are four great NWAs located in different parts of Canada, exposing visitors to different ecosystems and biodiversity. And keep an eye on our NatureHood events page (http://naturecanada.ca/tag/naturehood-events/) to find out how Nature Canada is working with Environment Canada, under the National Conservation Plan, to connect Canadians to nature at these amazing sites over the next year! Located on British Columbia’s Fraser River Delta, this NWA falls within a globally significant IBA and is a crucial migration stop-over and overwintering site for more than 1.4 million migratory birds each year. Flocks of Snow Geese exceed 25,000 birds at the beginning of October, and tens of thousands of shorebirds and dabbling ducks also seasonally frequent this exquisite site less than an hour from downtown Vancouver! 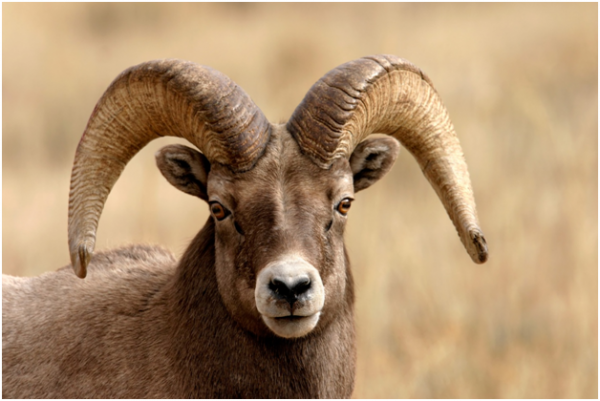 At 812 hectares, the Vaseux-Bighorn NWA is home to a vast expanse of arid grassland, mountain and marsh habitats, suitable for the flagship species of the area, the California Bighorn Sheep. Home to at least 30 species at risk and situated in Canada’s ‘pocket desert’ in the Okanagan Valley, this NWA allows people to view the large mammals, rare birds and an amazing array of plants and animals found nowhere else in the country. 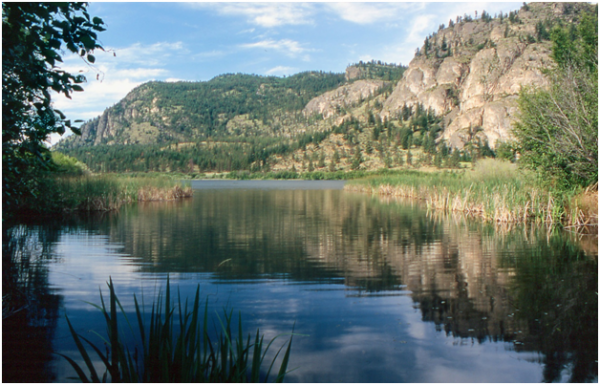 Located in Saskatchewan, Last Mountain Lake NWA was the first protected bird sanctuary in North America and is only 2 years younger than Banff National Park. Home to Saskatchewan’s only migration monitoring station, over 280 different bird species pass through this important prairie wetland during migration, with 100 species breeding at the site as well. Visitors have full access to the NWA, including floating boardwalks, wildlife viewing towers and interpretive hiking trails, as well as opportunities for canoeing and kayaking around the lake. Found on the tip of the Long Point Peninsula, Prince Edward Point boasts records of more than 300 species of birds given its placement as a migration ‘bottleneck’ on Lake Ontario’s north shore. Over 31 at-risk species, including many birds, are found in this area where day-use visitors can birdwatch or see bird-banding (spring and fall only), watch for monarch butterflies, or just enjoy the rugged beauty of this windswept point. [dropcap]S[/dropcap]o it’s Canada Environment Week — did you know? More importantly, did you know that in mid-May the federal government made a significant commitment to conservation in Canada? Notwithstanding what’s missing, the National Conservation Plan does promise $20 million/year and $10 million/year investments in the Nature Conservancy of Canada (for ecologically sensitive areas) and wetland restoration, respectively, which is very positive. It’s fair to question how these investments will help to connect all Canadians to nature, however, since they seem to be focused on protecting private lands, instead of lands (not waters) that will be publicly owned and accessible, or located in or near large population centres. 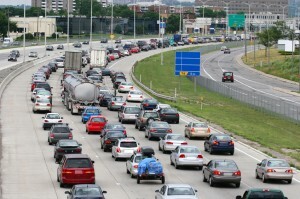 After all, more than 80% of us presently live in urban centres. So how will the government ensure that it delivers on the National Conservation Plan’s promise to connect urban Canadians to nature? There’s less and less capacity within departments like Environment Canada and Parks Canada to develop and deliver these programs and neither Budget 2014 nor the Plan assign this mandate to any specific department. It’s very positive to see the government reaching out to conservation partners like Earth Rangers and the Nature Conservancy of Canada, but this task will require many more players working with a variety of approaches to engage Canada’s increasingly distracted, increasingly culturally diverse and increasingly urban population in this venture – or as Prime Minister Harper puts it, this “ethic of true stewardship… of the heart”. You can’t change people’s minds, attitudes or behaviours simply with an advertising campaign, no matter how well produced or widely broadcast it is. As proponents of community-based social marketing would advise, you first need to understand the real and perceived barriers to the beneficial behaviour(s) you want people to adopt and then work to remove or overcome those barriers. The most effective approach to making these beneficial behaviours stick is to work locally where people can observe more and more of their neighbours and peers gradually adopting the behaviours over time. Curb-side recycling is the best example of this – no one wants to be the only resident on the street who doesn’t recycle. Hopefully this strategic approach to engaging Canadians and fostering a new nationwide conservation ethic is inherent in the thinking behind the National Conservation Plan, but we’ll have to wait and see. [caption id="attachment_11934" align="alignright" width="300"] More than 80% of Canadians currently live in or near urban centres. [/caption] Of course, we’ve got no time to lose since our relationship with nature is only becoming more broken with time, to paraphrase host Jian Ghomeshi of CBC Radio’s program Q. We should point to another significant oversight in the Conservation Plan: the private sector. 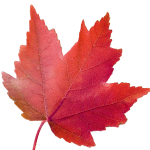 If we want a wholesale, Canadian stewardship ethic to begin evolving in the next 5 years, wouldn’t it make sense to engage the businesses driving our commerce and trade (domestic and international), selling us consumer goods and providing countless services to Canadians? Shouldn’t we have the opportunity to nurture our heartfelt stewardship ethic at the cash register? The gas pump? The grocery store? Moreover, businesses and industry may be driven by heart, but their actions in the market and on the ground are governed by regulation. And in order to make a National Conservation Plan truly relevant, it must be espoused and endorsed by industry and the private sector. Don’t get us wrong, we think the National Conservation Plan is a good step in the right direction, and we applaud the government for making this bold commitment. But let’s make sure this isn’t just an investment in good feelings. These investments are intended to build on approximately $406.5 million announced in Budget 2014 for natural heritage conservation by Parks Canada and Fisheries & Ocean over the next 5 years – 96% of which is actually for infrastructure improvements in national parks and along historic canals. One could argue that this infrastructure makes it easier for people access to nature, yes, but it doesn’t necessarily remove the most important barriers for people. Barriers like the distance, cost and time associated with visiting Canada’s amazing national parks and other protected land- and seascapes. Absent from Budget 2014 was any mention of funding for the protection of publicly-owned marine or terrestrial protected areas because Canada protects so little of its overall land area compared to the United States. Today, however, in response to CPAWS’ Dare to be Deep report on marine protection in Canada, CBC reports that Fisheries and Oceans Minister Gail Shea’s office stated the following: “We remain committed to meet our target of protecting 10 per cent of our oceans by 2020 under the International Convention on Biological Diversity.” Again, the question of “how” looms large. Stay tuned tomorrow where we'll explore the "how" issue and others in depth.